Me (to a DJ who was in the middle of a Joy Division-y set): Who is this your playing? Me (mentally scratching my head…): Hard Crash International? Why hadn’t I ever heard of this band? I looked them up on Youtube right on the spot and I couldn’t find a thing. 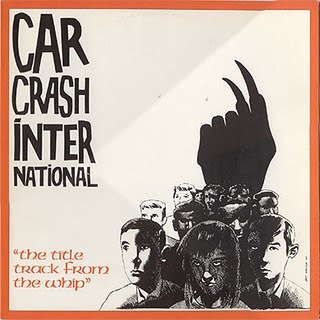 I get home and then it dawns on me, Carcrash International! I’ve had this record in my house for like 15 years. This is what I get for not ever giving it a proper listen, I’d totally missed out on this song. Time to revisit the record collection. *He probably said Carcrash International and I couldn’t hear him over the music.